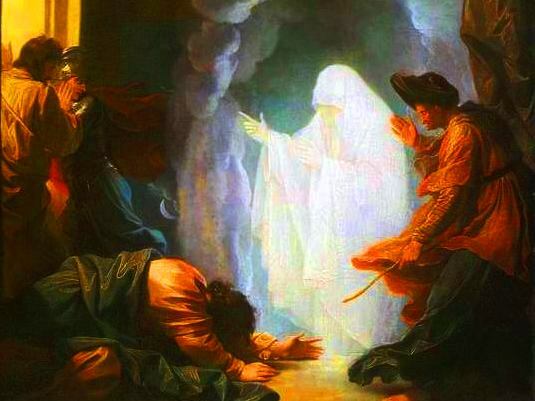 Both the Old Testament and the New Testament warn us about the pure evil that is sorcery, divination, and witchcraft. A lot of twenty-first century intellectuals say that all of this is not real, and is just medieval superstition. But if the Bible, both the Old and the New Testament, warn against these practices, are these practices really fake? Does the Bible condemn practices that are not real? Or does the Word of God warn us about sorcery, divination and witchcraft because they are real and can lead us all straight to hell? Recommend you think very hard before you play with a ouija board, dabble in horoscopes, or have your fortune told, and instead say a prayer to the Holy Spirit. God wants us to trust in Him, and only Him, with our entire mind, body, and soul. The future is His to know, and for us to only find out as we live through it. The book of Revelation compares sorcery to fornication, idolatry, and murder ! And Revelation 18:23 says that all nations were deceived by the sorcery of Babylon. From that, it's hard to see how it could be imaginary, or be seen as harmless fun for kids and grownups. Leviticus 19:26: "You shall not eat any flesh with the blood in it. You shall not practice augury or witchcraft. Leviticus 19:31: "Do not turn to mediums or wizards; do not seek them out, to be defiled by them: I am the LORD your God. Leviticus 20:6: "If a person turns to mediums and wizards, playing the harlot after them, I will set my face against that person, and will cut him off from among his people. Leviticus 6:27: "A man or a woman who is a medium or a wizard shall be put to death; they shall be stoned with stones, their blood shall be upon them." 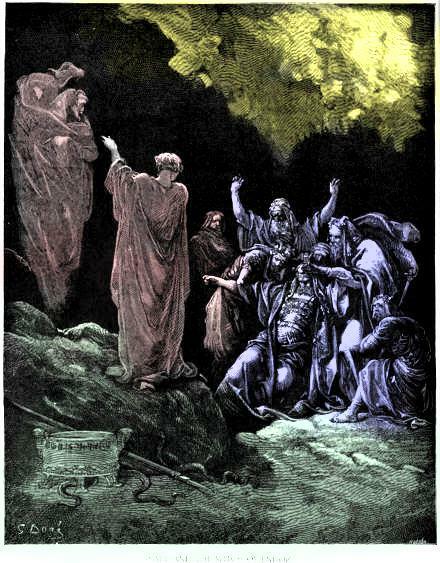 Deuteronomy 18:10-11: There shall not be found among you any one who burns his son or his daughter as an offering, any one who practices divination, a soothsayer, or an augur, or a sorcerer or a charmer, or a medium, or a wizard, or a necromancer. 1 Samuel 28:7-20: Then Saul said to his servants, "Seek out for me a woman who is a medium, that I may go to her and inquire of her." And his servants said to him, "Behold, there is a witch at Endor." So Saul disguised himself and put on other garments, and went, he and two men with him; and they came to the woman by night. And he said, "Divine for me by a spirit, and bring up for me whomever I shall name to you." The woman said to him, "Surely you know what Saul has done, how he has cut off the mediums and the wizards from the land. Why then are you laying a snare for my life to bring about my death?" But Saul swore to her by the LORD, "As the LORD lives, no punishment shall come upon you for this thing." Then the woman said, "Whom shall I bring up for you?" He said, "Bring up Samuel for me." When the woman saw Samuel, she cried out with a loud voice; and the woman said to Saul, "Why have you deceived me? You are Saul." The king said to her, "Have no fear; what do you see?" And the woman said to Saul, "I see a god coming up out of the earth." He said to her, "What is his appearance?" And she said, "An old man is coming up; and he is wrapped in a robe." And Saul knew that it was Samuel, and he bowed with his face to the ground, and did obeisance. Then Samuel said to Saul, "Why have you disturbed me by bringing me up?" Saul answered, "I am in great distress; for the Philistines are warring against me, and God has turned away from me and answers me no more, either by prophets or by dreams; therefore I have summoned you to tell me what I shall do." And Samuel said, "Why then do you ask me, since the LORD has turned from you and become your enemy? The LORD has done to you as he spoke by me; for the LORD has torn the kingdom out of your hand, and given it to your neighbor, David. Because you did not obey the voice of the LORD, and did not carry out his fierce wrath against Amalek, therefore the LORD has done this thing to you this day. Moreover the LORD will give Israel also with you into the hand of the Philistines; and tomorrow you and your sons shall be with me; the LORD will give the army of Israel also into the hand of the Philistines." Then Saul fell at once full length upon the ground, filled with fear because of the words of Samuel; and there was no strength in him, for he had eaten nothing all day and all night. 2 Kings 17:17: And they burned their sons and their daughters as offerings, and used divination and sorcery, and sold themselves to do evil in the sight of the LORD, provoking him to anger. 2 Chronicles 33:6: And he burned his sons as an offering in the valley of the son of Hinnom, and practiced soothsaying and augury and sorcery, and dealt with mediums and with wizards. He did much evil in the sight of the LORD, provoking him to anger. Malachi 3:5: "Then I will draw near to you for judgment; I will be a swift witness against the sorcerers, against the adulterers, against those who swear falsely, against those who oppress the hireling in his wages, the widow and the orphan, against those who thrust aside the sojourner, and do not fear me, says the LORD of hosts. Revelation 18:23: and the light of a lamp shall shine in thee no more; and the voice of bridegroom and bride shall be heard in thee no more; for thy merchants were the great men of the earth, and all nations were deceived by thy sorcery. Revelation 21:8 But as for the cowardly, the faithless, the polluted, as for murderers, fornicators, sorcerers, idolaters, and all liars, their lot shall be in the lake that burns with fire and sulphur, which is the second death." Revelation 22: 15: Outside are the dogs and sorcerers and fornicators and murderers and idolaters, and every one who loves and practices falsehood. So be careful what you allow your kids to read and watch on TV. Harry Potter might seem like it's all innocent fun and games, but you simply don't know whether or not it will pique their interest to dabble into the black arts down the road. Casting spells, even for fun, is a very dangerous practice.